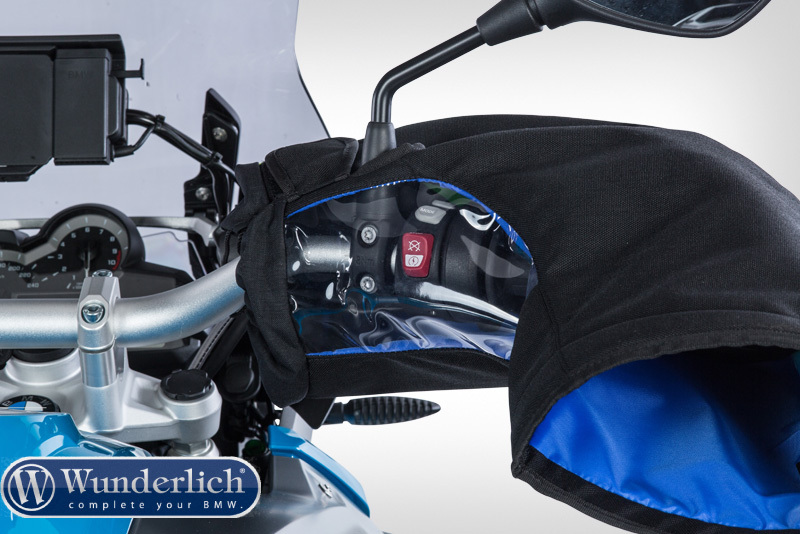 Handlebar muffs - black or high visibilty "SAFE"
Heated grips (if available) only warm the palms of your hands and leave the back of your hands cold. 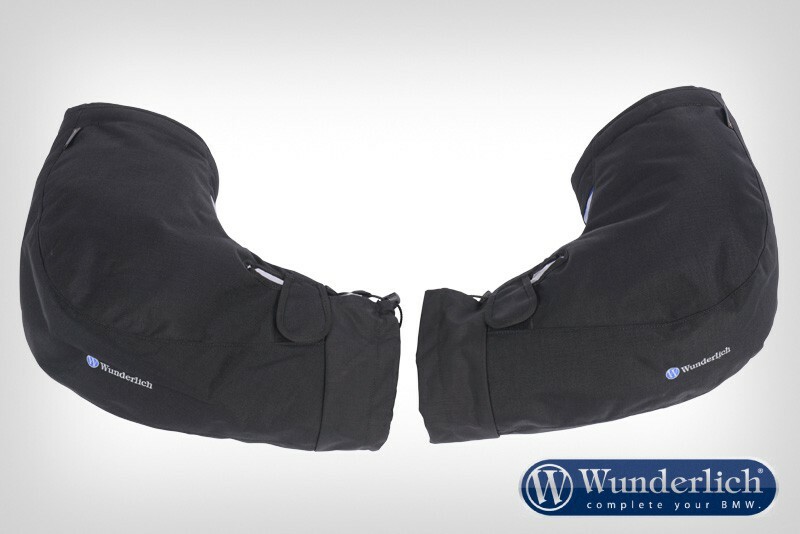 To protect your entire hand from wind, rain, and cold temperatures we bring to you these traditional handlebar muffs with a modern twist. 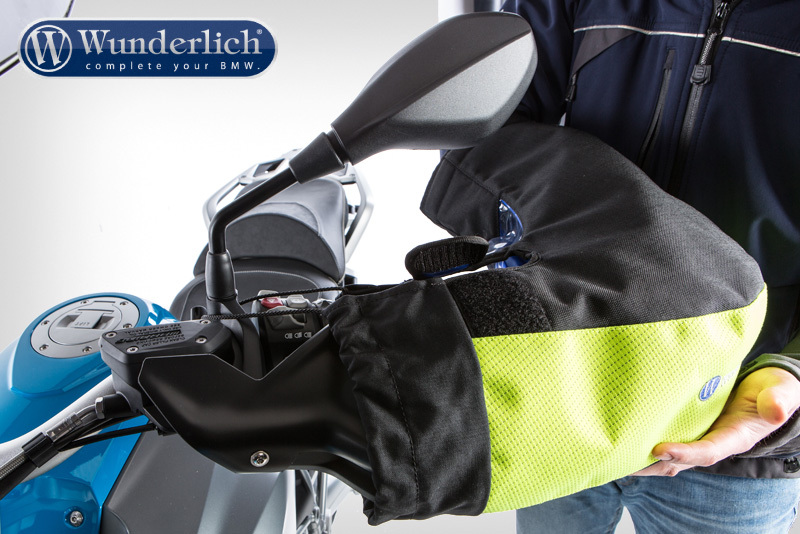 Being made of high-quality, water-repellent, and dirt resistant material they can simply be slipped over your handlebars on each side and fastened with a Velcro-strap. 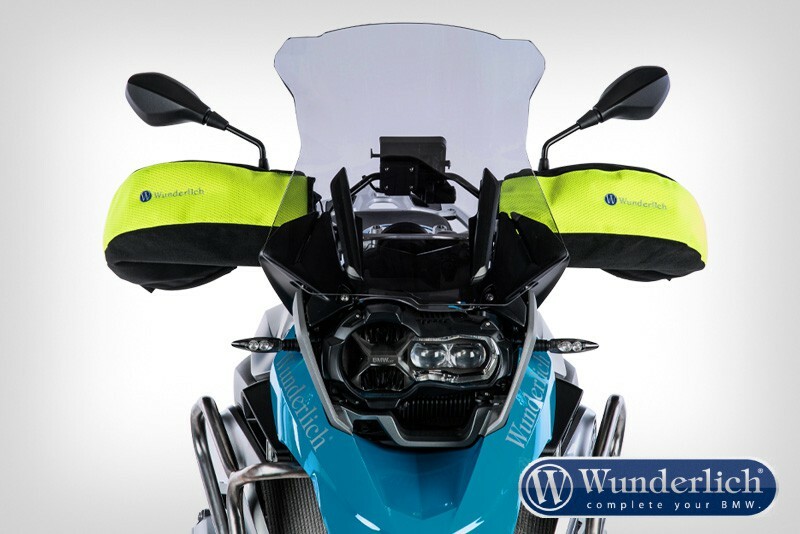 A transparent window made from UV-resistant, flexible PVC glass which does not fade over time enables you to operate any control correctly. 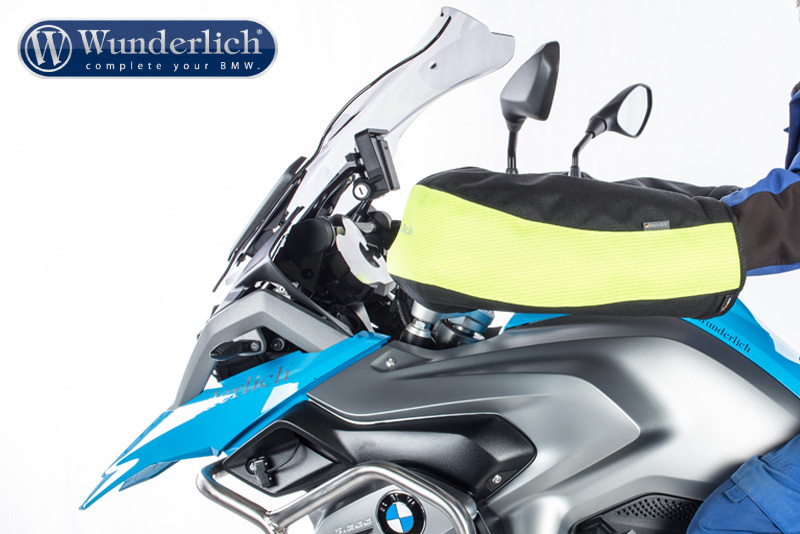 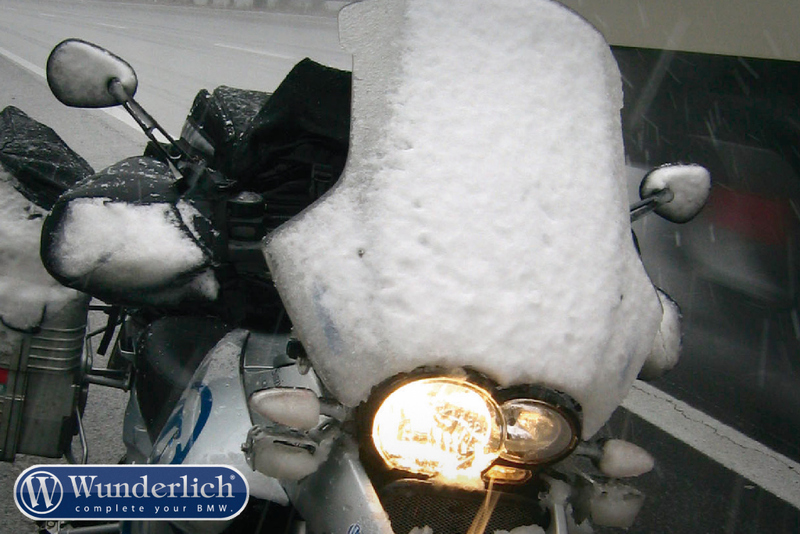 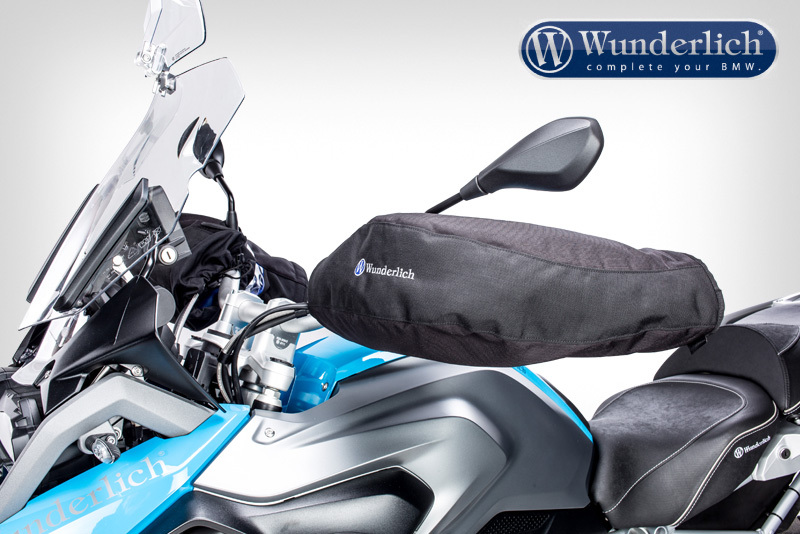 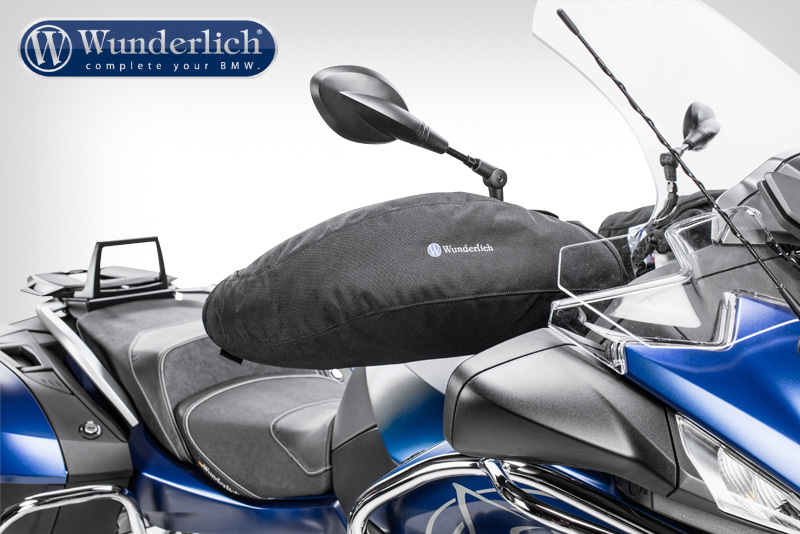 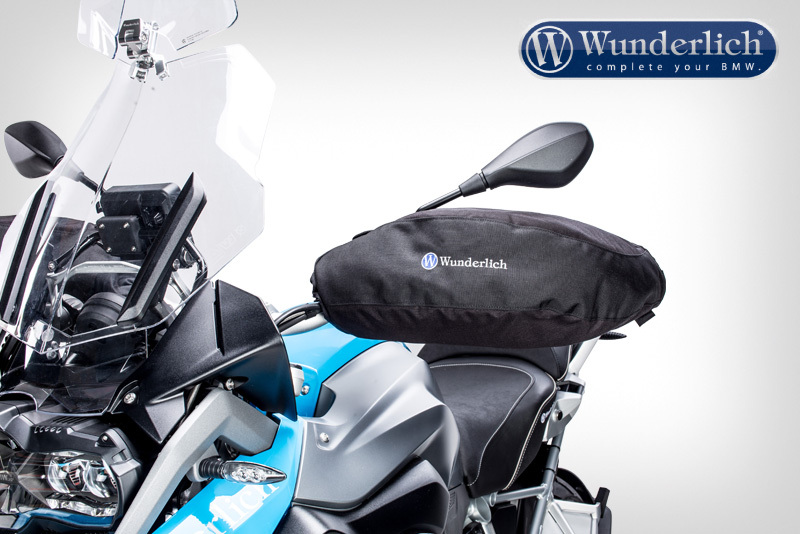 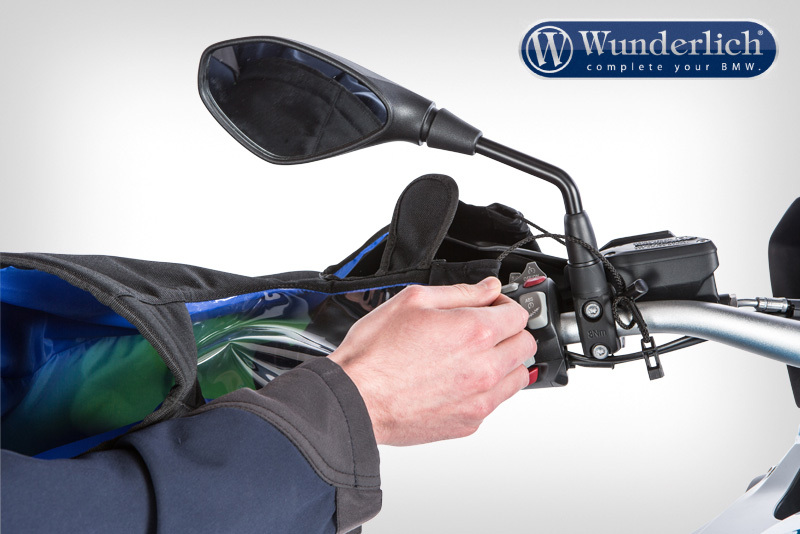 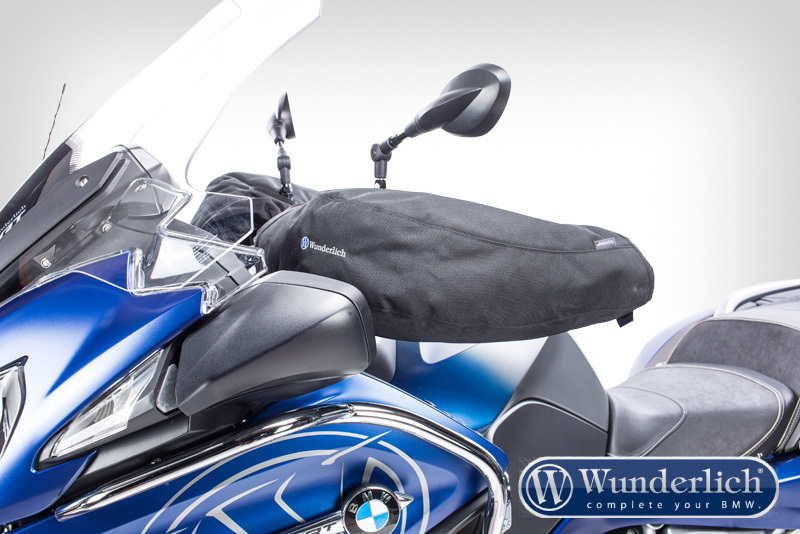 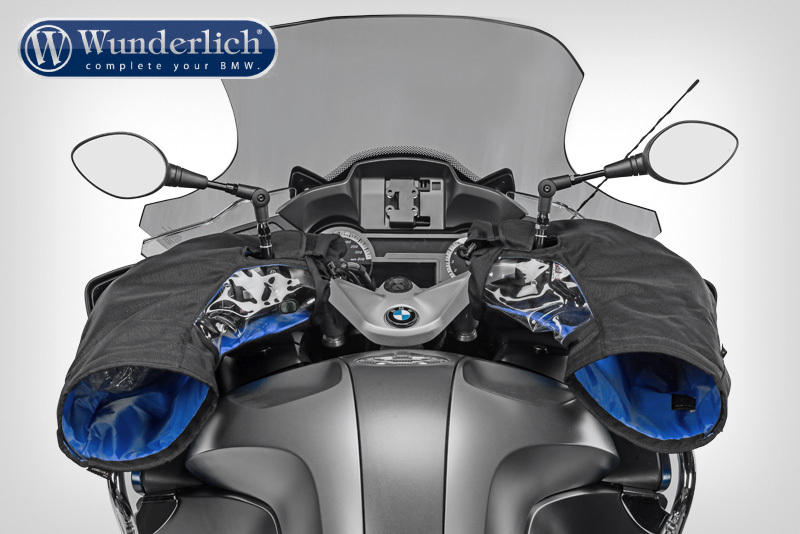 These specifically developed handlebar muffs are available for any motorbike used with or without handprotectors and guarantee pure driving pleasure in any weather.